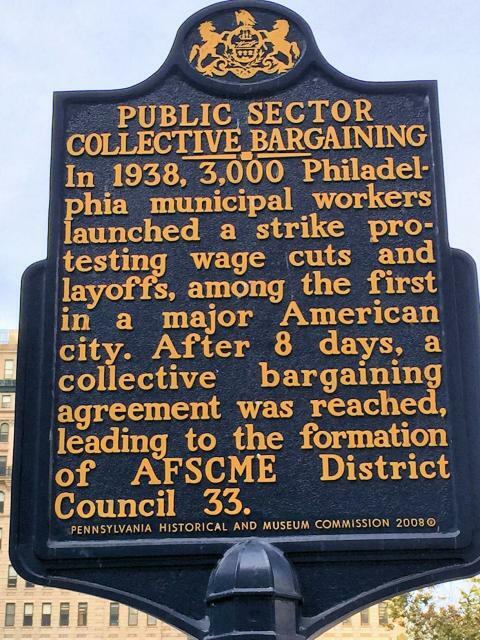 In 1938, 3,000 Philadelphia municipal workers launched a strike protesting wage cuts and layoffs, among the first in a major American city. After 8 days, a collective bargaining agreement was reached, leading to the formation of AFSCME District Council 33. This marker can also be identified by its HM code. You can use the hashtag #HM1JRX in tweets, and any other place where you might refer to this marker, including when searching on this site.